After giving its VIP players more than $700,000 in bonuses last year, Slotland, has started 2015 by giving its VIP players another $45,000 in bonuses this month. This month, Slotland VIP players are being ranked according to their deposits and wagers. The top 50 will receive bonuses up to $500 each. These bonuses have a low 3x wagering requirement. At the end of the year the top VIP players will receive annual bonuses up to $10,000 each. Any Slotland player that's made significant deposits can become a VIP member and take advantage of all the associated VIP benefits including bonuses, cashback, priority support and better chances in weekly draws. 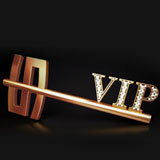 If you think you may qualify for VIP status contact support@slotland.eu. Slotland, which celebrated its 16th birthday last fall, has 34 real money online slot games that are only available at Slotland.eu. In its newest game, Gods of Egypt, three or more Scatters trigger a bonus round where players select objects in the pharaoh’s tomb to reveal bonus prizes. It has Slotland’s first “sticky” wild which expands to cover the entire reel it appears on and then stays there until it’s part of a winning combination. All Slotland games are compatible with most smartphones and tablets. Most are tied to a site-wide progressive jackpot, currently over $130,000.